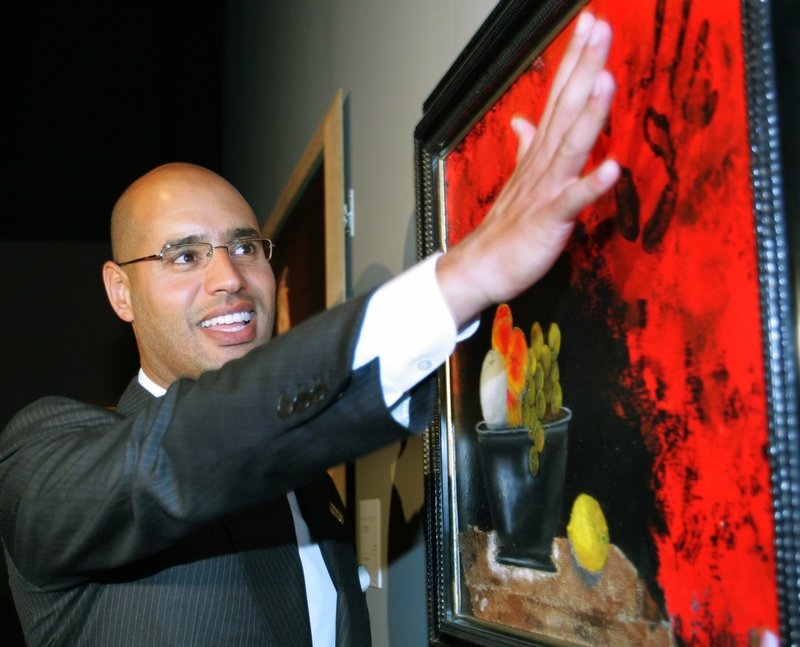 Colonel Muammar Gaddafi’s son, Saif al-Islam, is seeking to run for Presidency in Libya’s 2018 elections. Although he’s wanted by the International Criminal Court (ICC) on charges of crimes against humanity, he wants to “save Libya” and “restore peace and stability.” Most would immediately scoff at how outright ridiculous such a proposition is, seeing as this is the same man who, before the Arab Spring, envisioned that “rivers of blood [would] flow through all the streets of Libya.” Why is there even a chance of Colonel Gaddafi’s golden boy returning to power? Before the 2011 uprisings, Saif was seen as a reformist who opposed the Jamahiriyah regime. As tensions began to grow, he instituted himself as the mediator between his father’s concrete repression, and the progressive liberal world. His links went beyond politics; he invited scholars like Francis Fukuyama to speak at Tripoli, and in return attended elite gatherings like the World Economic Forum. Moreover, he received a PhD from the London School of Economics (LSE) in 2008, with a dissertation that focused on the role of civil society and developing global governance. He also donated approximately €15 million to LSE from his own charity, the Gaddafi International Charity and Development Foundation. It was later found out that his thesis was largely plagiarised, and after facing heavy criticism, the Director of the University, Howard Davies, resigned. Saif attends an exhibit during his visit to Tokyo in 2005, where he discussed Japan’s relations with Pyongyang and how North Korea would need incentives for abandoning its nuclear programs (Reuters/Taru Hanai). Diplomacy was also an area of command for Saif; he led negotiations in abandoning Libya’s weapons of mass destruction in early 2003, and kept intimate ties with British royalty and France’s political class. 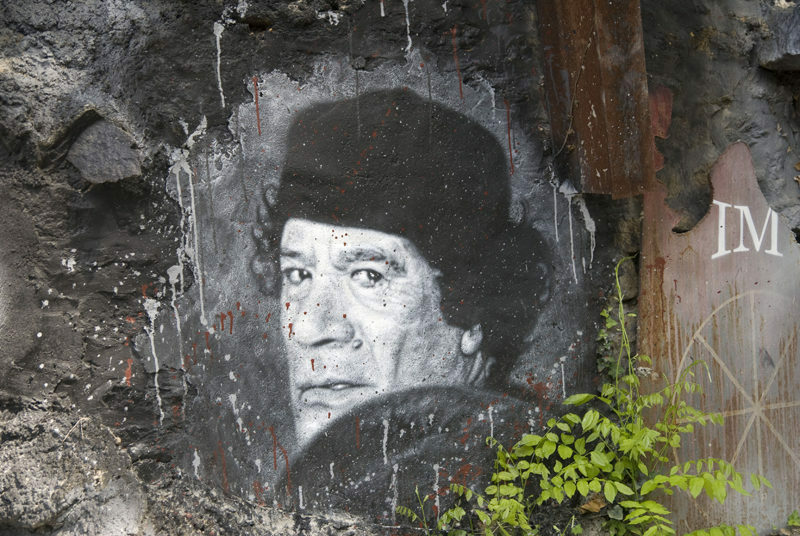 With a £10m mansion in London, he became a perfectly juxtaposed figure in Colonel Gaddafi’s rule that budding revolutionaries could find hope in. There were actually small pockets of demonstrators during his trial, chanting “Zintan, Zintan, free Saif-al Islam”; the first incident of its kind since the end of the revolution. In reality, Saif’s reformist character is, to some degree, part of his father’s elaborate ploy for anti-resistance crowd management. In the early days of the 2011 protests, Colonel Gaddafi used his son’s development work as part of a media campaign to advertise what his regime had done for Libyan citizens, pushing everyone to turn a blind eye to the volatility and chaos that his regime was inciting. Why would he be elected? Today, there are several accounts of why Libyans would be in favour of Saif’s presidency. For those who benefitted from his father’s regime and were subsequently pushed to the socio-economic and political periphery of the country after his death, the return of Gaddafi rule would mean their “return to the circle of privilege and influence”. It could also mean the return of thousands of Gaddafi supporters from Egypt and Tunisia, who, out of fear of legal retaliation and questioning, remain in exile. In addition, most Gaddafi supporters within the country reside in areas that are inaccessible to journalists, and again, stay silent out of fear of the ruling militias. Outside Libya, foreign support could come from Western businesses who were dealing with the old regime and would approve of Saif’s return. In general, there is a sense of nostalgia among some Libyans for the old regime in light of Libya’s continuous political and humanitarian crisis. Alongside economic decline where the national currency is plummeting and prices are spiking, the Libyan government is struggling to maintain a monopoly of force within its borders, creating a deleterious security situation. Various factions still vie for control over different regions and often use ruthless violence, kidnappings, and ransom. People are afraid to leave their homes as the possibility of returning safely is indefinite; “the roads are dangerous, there is no governance, and there is no orderly economy“. Although citizens recognize how Gaddafi’s era was terrible and repressive, they long for the greater personal security of his regime; Saif is offering to bring them exactly that. Can he legally run for office? Although the ICC has yet to get a hold of him, Saif was arrested in November of 2011 by Libyan rebel group Abubakr al-Siddiq, in the south of the country. He was then transported to another group in the small city of Zintan, where he spent the next 7 years, and where he is believed to be held now as militiamen refuse to hand him to the authorities. In July of 2015, he was put on trial by a Libyan court in Tripoli, and sentenced to death for crimes against the Libyan people. These charges come after his hawkishness during the Arab uprisings as well as his role in ordering airstrikes against peaceful demonstrators. How is a wanted man legally allowed to run for president? The “Political Isolation” law passed in 2013, preventing all Gaddafi-era officials from holding office, was revoked in 2015 after criticisms from NGOs and politicians for being undemocratic and sweeping. 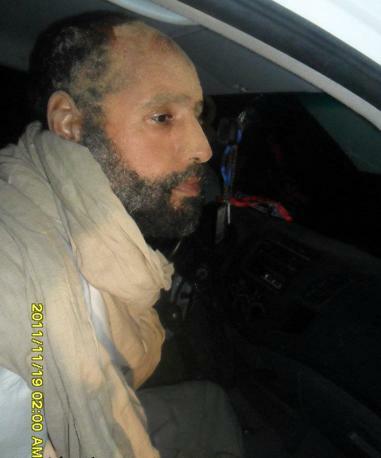 This gives Saif al-Islam, a Libyan citizen, the right to run. The situation challenges the very definition and ideals of democracy itself; would Libya’s elections be free and fair if supporters who truly want Saif as their constituent are silenced? Would intolerance towards those citizens create further hindrance in reconciling the fragmented nation? Despite Libya’s draft constitution of 2011 ruling out any candidate with a criminal record, the demand for a new draft amidst tensions surrounding the upcoming elections and the existing instability in the country make the regulation of such a standard unpromising. Saif will apparently be running to represent the Popular Front for the Liberation of Libya, a party formed in 2016, dedicated to freeing the country from the “control of terrorist organizations”. His “reform agenda” so far reflects the pre-Arab Spring intention; to transition to a constitutional democracy and strengthen the parliament. Planning to release details of his campaign platform soon, his spokesman insists that he is not a “military man” like his father, and hopes for a “modern” and “open-minded” Libya which rejects violence. Everyone who watched his widely broadcasted speech in February 2011, in which he wagged his fingers at Libyans, called them “rats”, and warned that they would “kill one another in the streets”, knows how absurd this claim is.